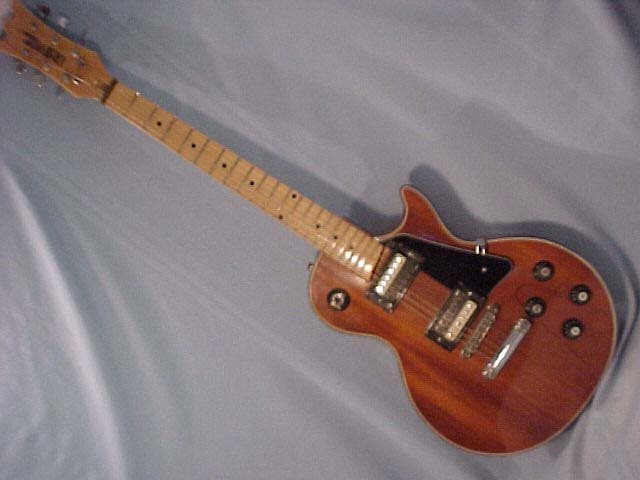 These are oddball Univox's that were modified enough to make them pretty disitnctive in my eyes. 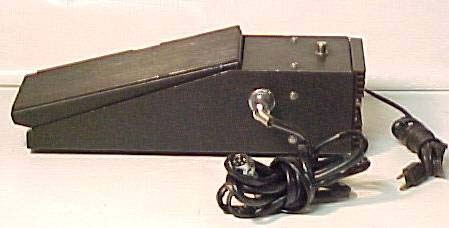 Univox B300 "Guitorgan" available in black ( 1, 2, 3, 4 ) and red (1, 2, 3) with control pedal (1, 2) - Similar to the M340, bringing onboard electronics to a new level of insanity. 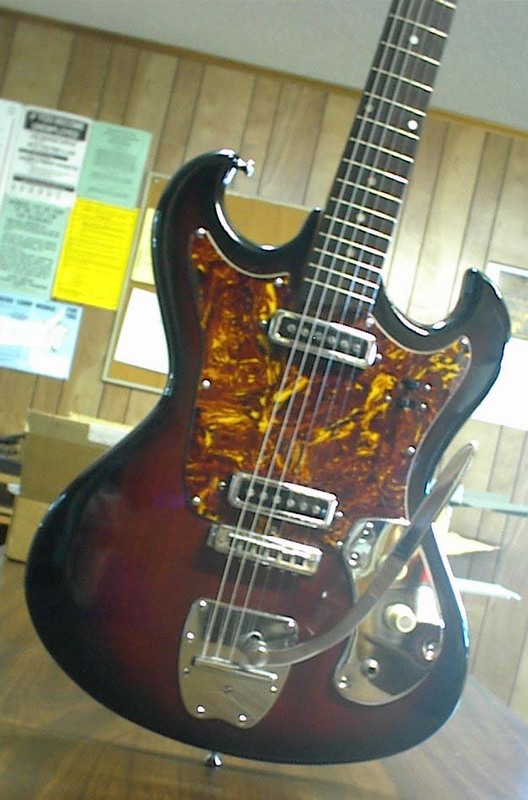 An Effie guitar with some kind of organ/synthesizer. 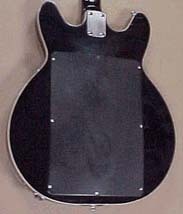 These were aftermarket additions made by Musiconics of Waco Texas. Les Paul FX (1) - Les Paul copy with active elctronics and on-board FX, 2 humbuckers with metal covers, 3 knobs, volume, tone, speed. Volume also acts as an off switch when turned all the way down. 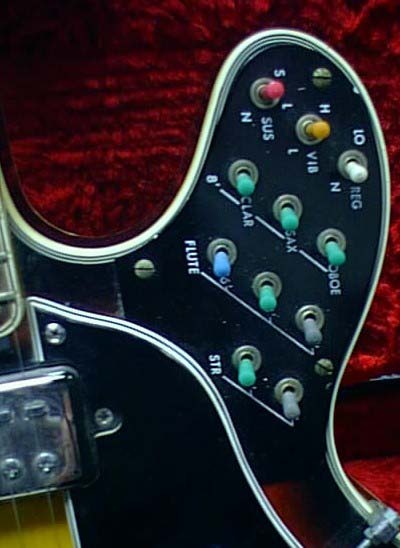 Raised pickguard, headphone jack, switches for phase (in/out), effects (on/off) and the following effects: echo, tremolo, wah, whirlwind (rotovibe?? ), fuzz. I have been informated that this was probably made by Kay. 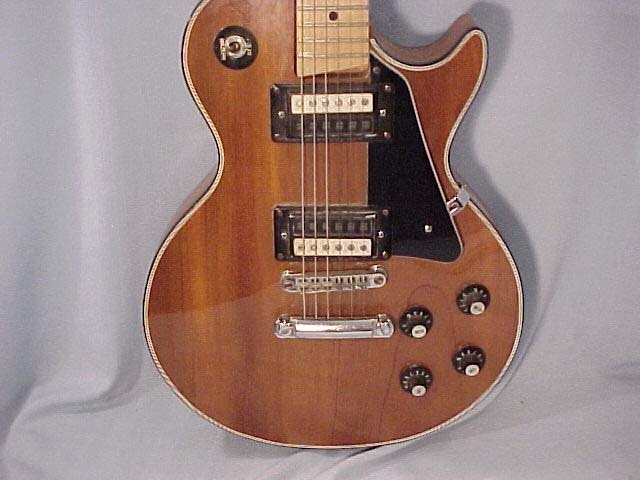 Gibson LP Copy - (1, 2) natural, elevated pickguard, 3 way switch and 4 knobs, humbuckers. 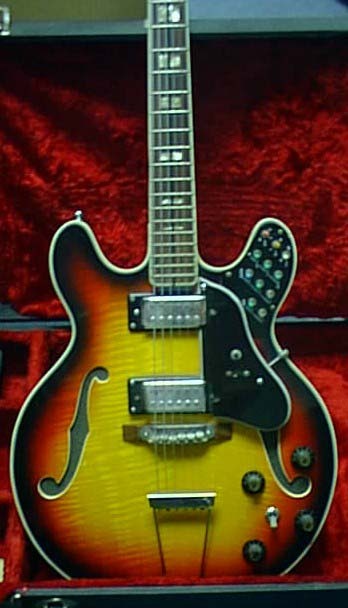 Note the headstock is exactly like a Hi-Flier. This could be put together from spare parts. 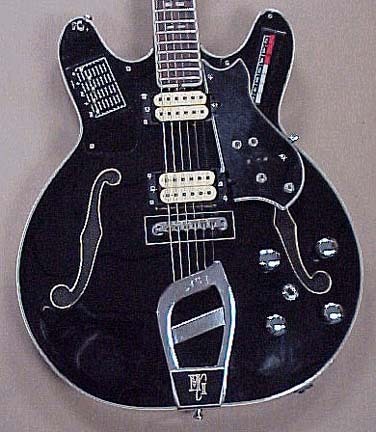 Unknown Hi-Flier Style Guitar - (1, 2, 3, 4) Black with red speckled pickguard, two thin single coil pickup, whamy bar (similar to hi-flier or Fender Jaguar design) and 2 knobs. 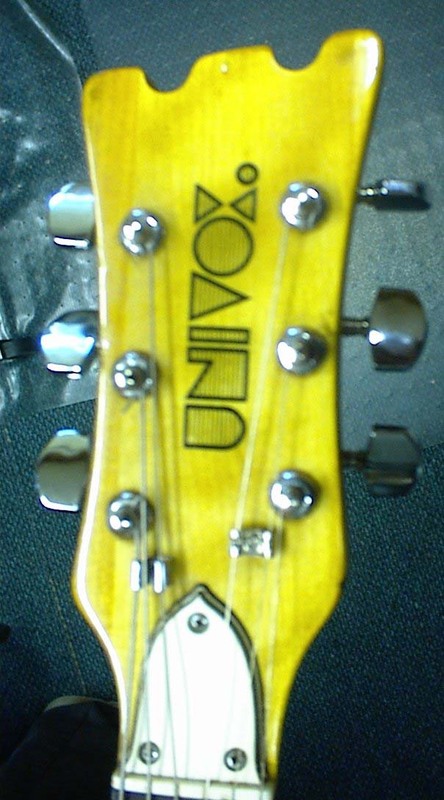 Headstock is exactly like later Hi-Fliers, the body is a Kawai from the early 70's/late 60's. 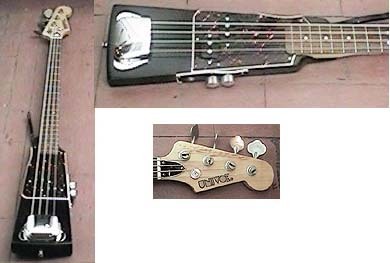 Unknown Bass guitar with Fender-style neck and headstock and small body. Probably a custom job. 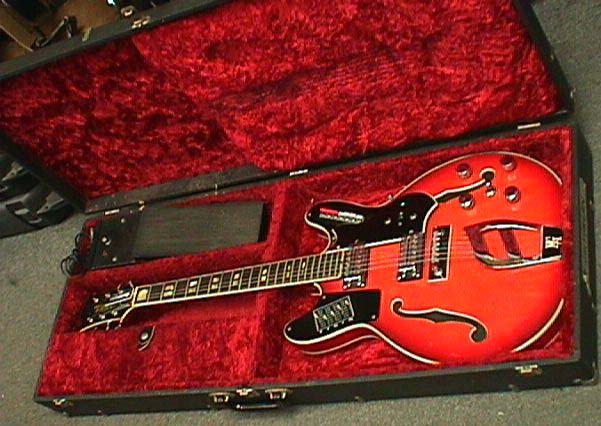 Modified Westbury - Westbury Custom sunburst, with a red and black dragon painted (badly) on the body. Apparently the result of quite a hack job, thankfully a reader of the site wrote in about this one.